Smarty spent the last week or so pursuing her newly found passion for growing crystals. Did Our Scientist Leave the House? When Smarty was younger, we did a lot of science experiments together. Now, when she is older, I expect her to initiate her scientific pursuits on her own. 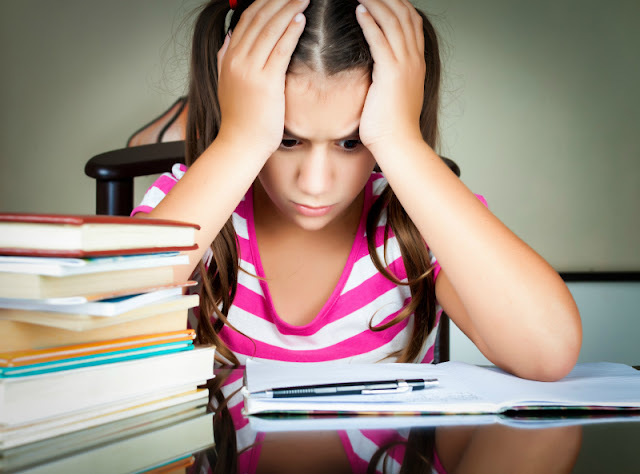 To my regret, she seems to be a "theoretical scientist" - she loves to look through her favorite science experiments books or look at science videos on YouTube, but she was not interested lately in actually doing the experiments. I suspect that some of it is related to her dislike of anything related to cleanup and her knowledge that I won't let her escape clean up activities. Some of it might also be related to "been there done that" feeling that even I get when I see the same classic experiments repeated over and over. Anyway, I was glad that she finally decided to return to some hands-on science with growing crystals. 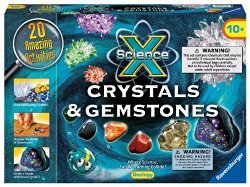 Smarty got her Crystals and Gemstones kit as a Christmas present from grandparents, but it was never really touched until she suddenly developed this strong interest in crystals. We grew crystals before, but then I was doing most of the work. She was happy to try her own hand growing crystals independently following instructions and using materials from this kit. Crystals and Gemstones uses alum powder as a main crystal growing material. Both Smarty and I were surprised when she looked up how to procure more alum powder and discovered that it is sold as a spice in grocery stores. It is much cheaper, of course, to procure it online as a chemical ingredient. But Smarty does not have to worry about her alum supplies yet, since the kit came with several packs of alum powder. 1. Make sure that your solution is actually saturated. Crystals will not grow well if you have too much water. 2. Water should be fairly hot to dissolve your substance (Epson salt, borax, alum, etc.) completely. 3. Keep curious hands away for at least 48 hours - crystal growing is a slow and fragile process and it's best if solution is left absolutely still to allow crystals to grow. 4. While alum makes prettier and sturdier crystals, Borax is more foolproof. Smarty made two different alum solutions, and one of them did not grow crystals at all. I suspect that either water was not hot enough or perhaps there was simply too much of it. Do your kids enjoy hands-on science? Is it mostly self-initiated or mostly parent or teacher-led? Follow my Chemistry for Kids Pinterest board. 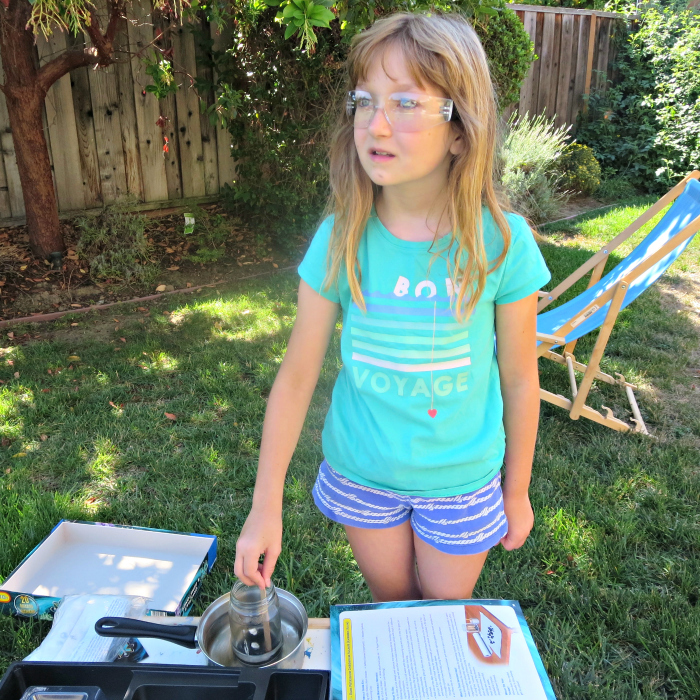 My kids enjoy hands-on science but they are not always good at following the directions for experiments. Apparently their attention to detail is more art than science related. My kids are not good at the delicate parts of it, also pretty much all activities devolve into play at some point as the figures are brought out, and the explosion sounds start happening. 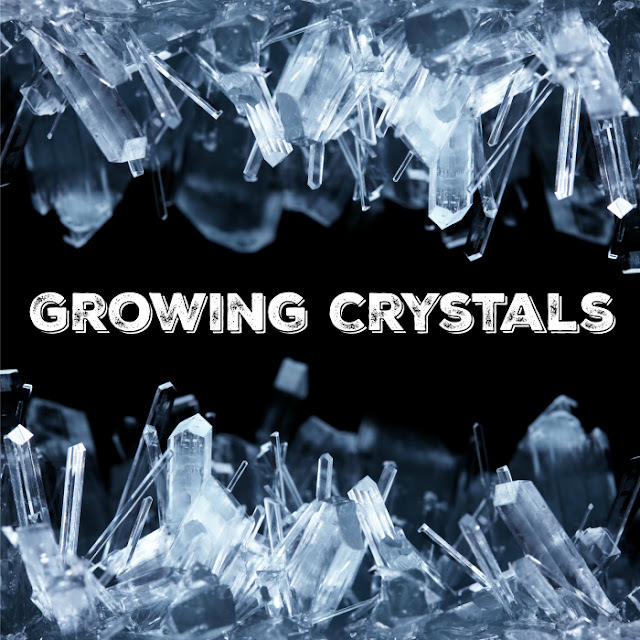 Growing crystals is on my to-do list this year. Actually growing several types is on my list.